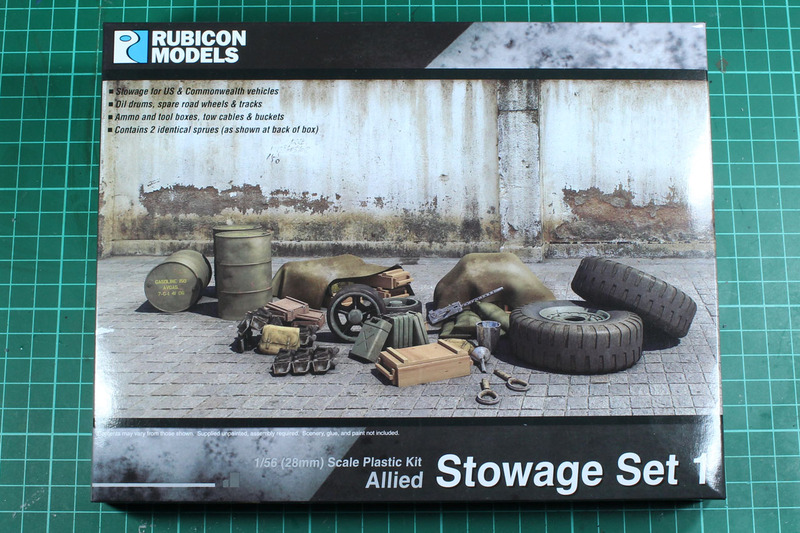 As a counterpart to the German Stowage Set, Rubicon Models released the Allied Stowage Set 1 in late summer 2016. 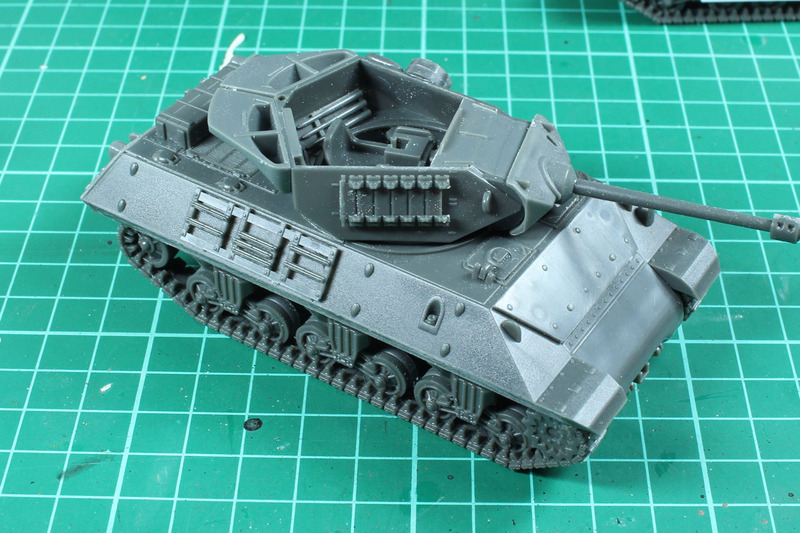 So now you'll be able to add luggage and equipment to your allied vehicles in 28mm. 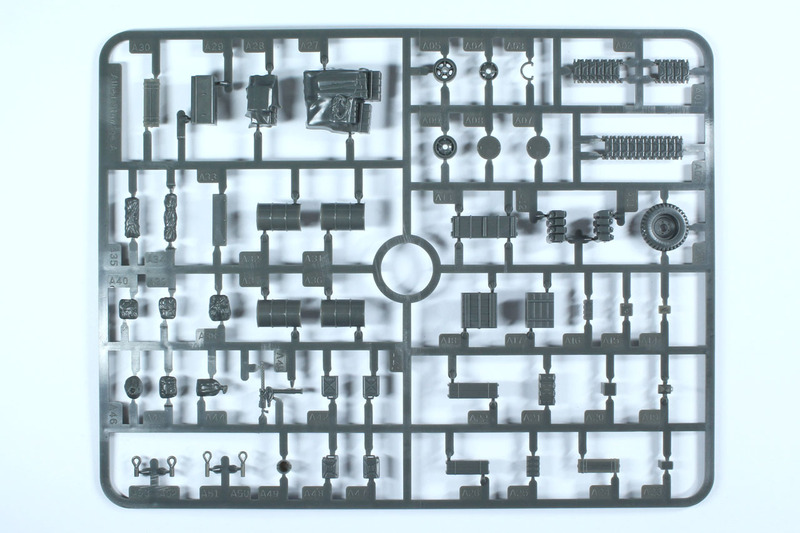 The set covers two identical hard plastic sprues, containing a sum of 94 parts. 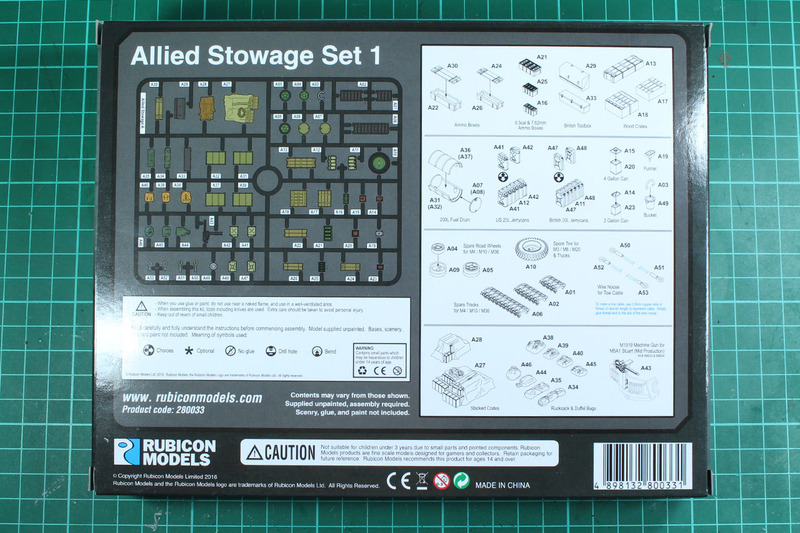 On the back of the box you find a detailled list of what is included among tracks, jerrycans, wooden and metal tool boxes. 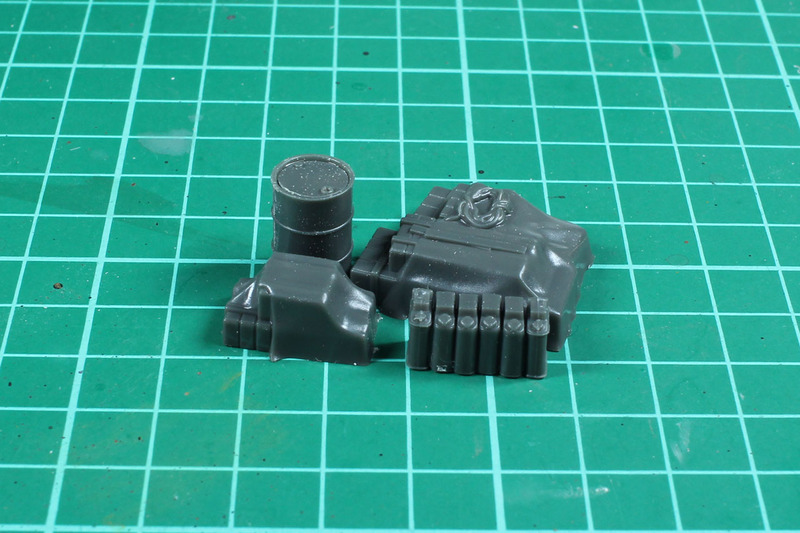 The sprues are properly filled with bits and you get these two times with each box. Cast is crisp and details are solid. 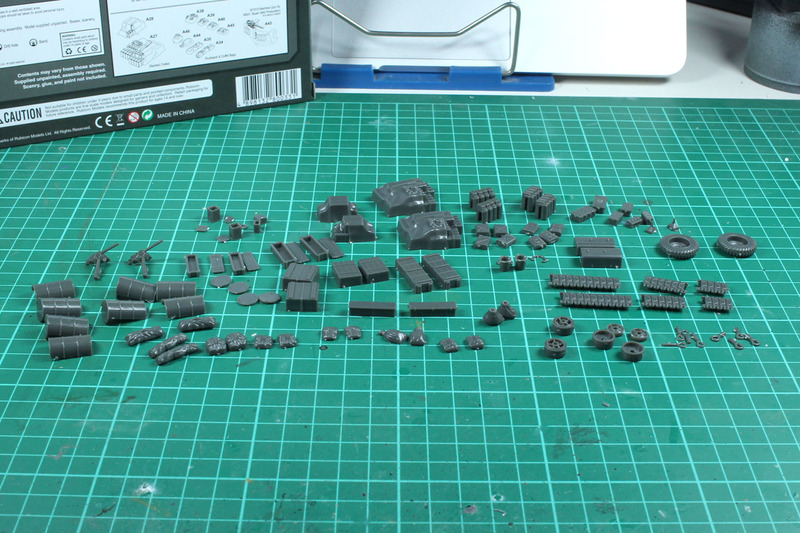 There is a bit of release agent still on the sprues, so make sure to give them a good scrub in luke warm soap water before assembly / priming. 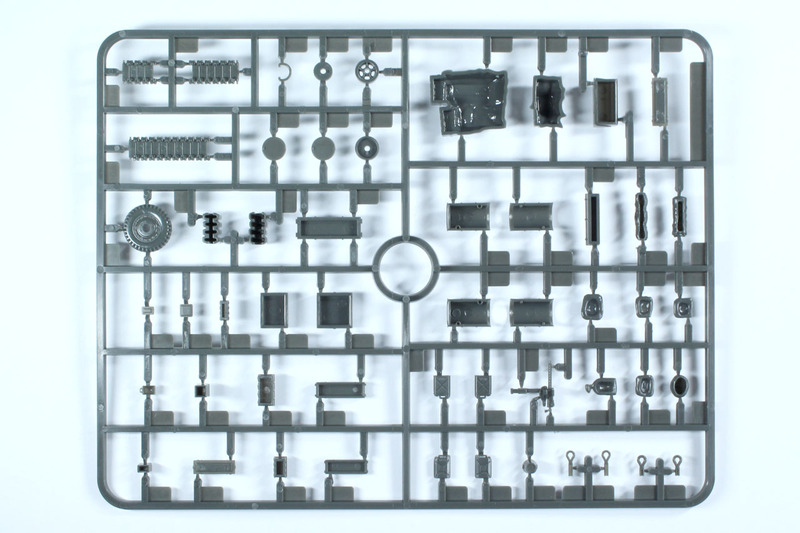 This is what you get, if you clean out all the parts from the sprue. That should surely keep you supplied with at least two mid sized army projects, maybe even more. Some of the parts, like the pile of boxes and drums can be used for terrain as well, or loot markers / game objectives. 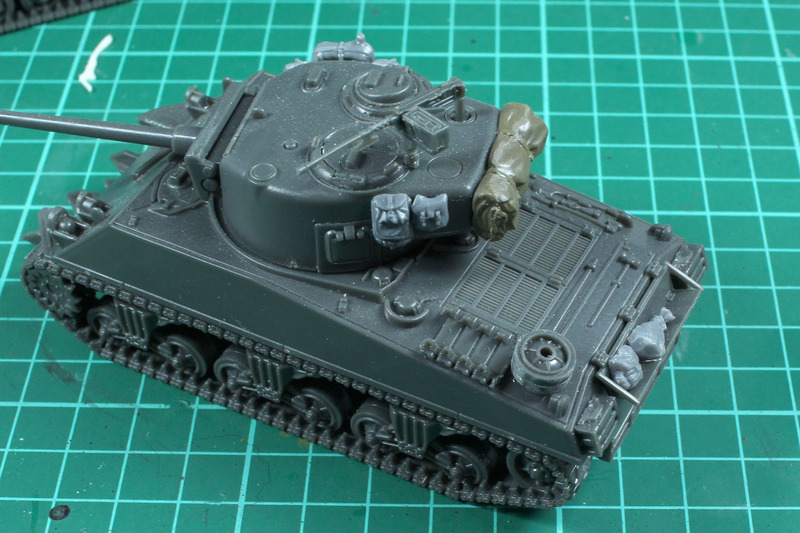 As the stowage set offers a broad variety of parts, I could add a lot of them to my shermans and still have no duplicates. 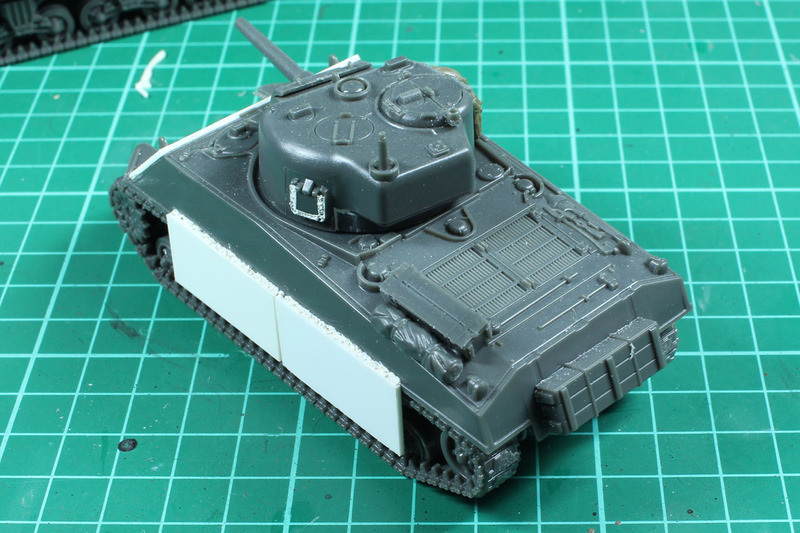 I replaced the 1:48 tamiya parts that I used before with some properly scaled 1:56 / 28mm bits. 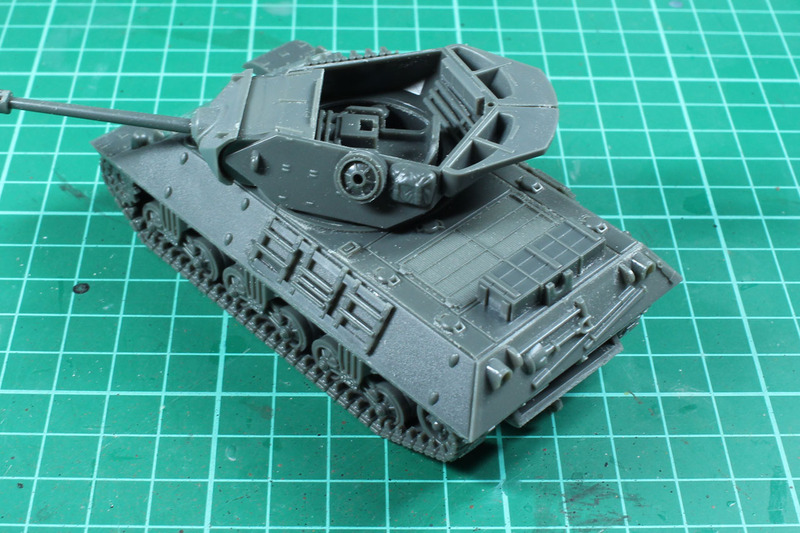 Along with the bits and pieces you have from other plastic kits, like the infantry sets for Bolt Action, you can get a lot of variation on your tanks and get the "proper" allied vehicle feeling. 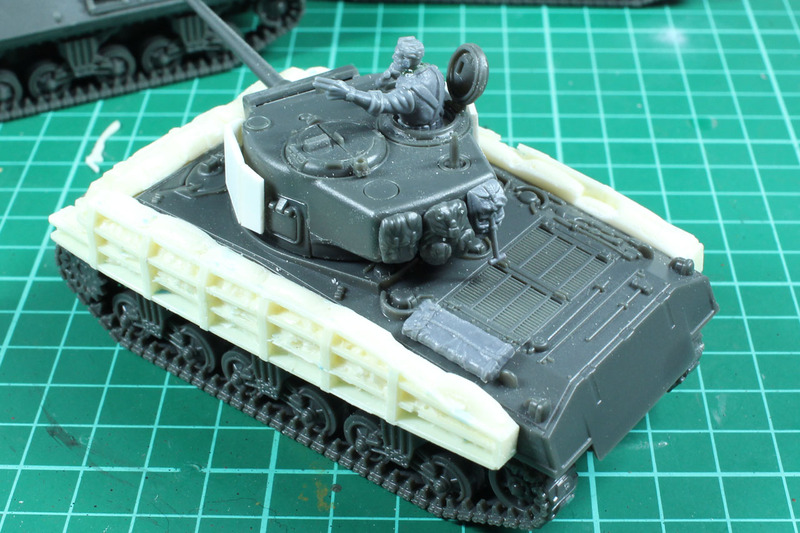 The spare track sections are a great part of this set, as many allied tanks can be seen using them excessively not only as spare parts but as soft armour as well. This set is offered around at around 10 GBP / 13 Euro, which is a very reasonable price. It is not the first set of luggage, but others are usually made from pewter / metal or resin and you get only a fraction of the parts for a few bucks less. As this is plastic, it is easier to modify and to add to your vehicle. The surface is curved? Simply bend the part into place and glue it down. Not that easy with metal bits. 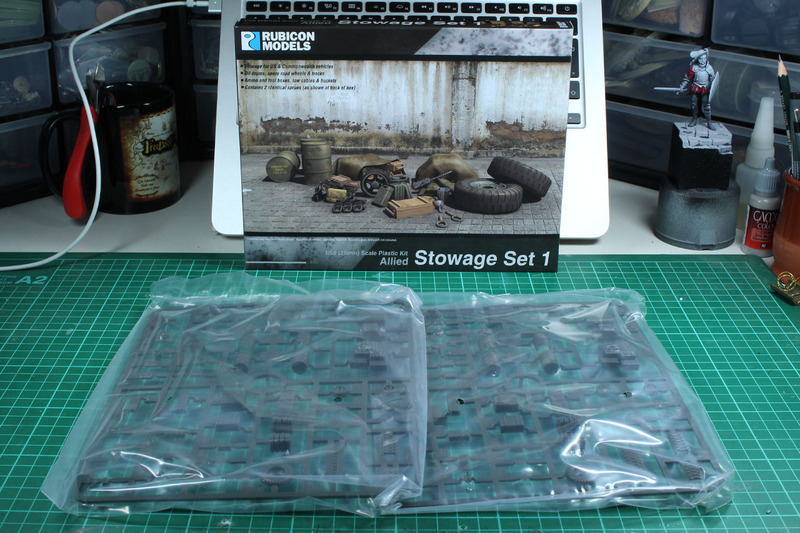 Beyond that, as most world war 2 systems in 28mm are about platoon sized, even if you go for an armoured platoon, this set will set you up nicely for the whole project. And this is named set 1, I'm looking forward for the additional sets to come.